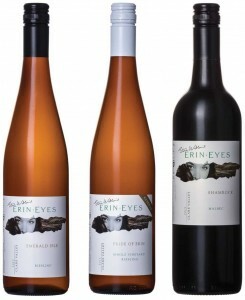 Steve Wiblin has just released his 2018 Erin Eyes ‘Pride of Erin’ Riesling and his 2018 Erin Eyes ‘Emerald Isle’ Riesling. 2018 is Steve’s 21st vintage in the Clare Valley and with his wealth of experience you will not be disappointed in these fine wines. 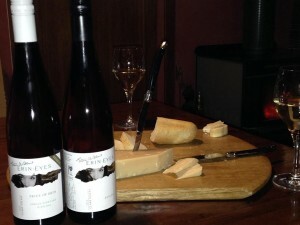 His Rieslings have won many awards over the last few years – read more here. Read their tasting notes to find out more. To order, download an order form here. 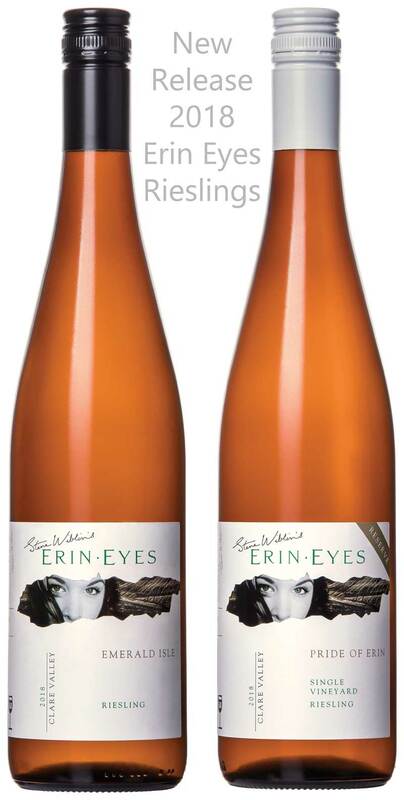 Now released our 2015 Erin Eyes Rieslings. Two wines this year include our 2015 Erin Eyes Riesling blended across 3 top vineyards. 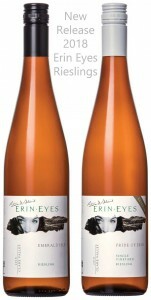 Also, our 2015 “Pride of Erin” Reserve Riesling. 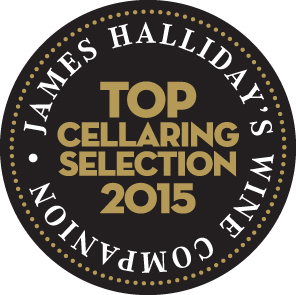 A single vineyard wine from a Penwortham micro climate that showed outstanding fruit on the vine and in the winery. High natural acid made this wine a stand out. 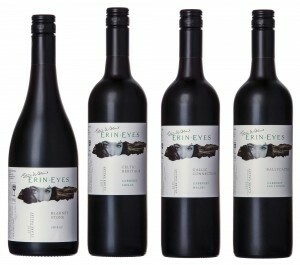 The Reserve name “Pride of Erin” thanks for the inspiration Huon Hooke. Apart from seafood and the usual recommended dishes try it as we are doing with Parmigiano Reggiano and crusty bread. Contact us for purchasing locations or use this form.